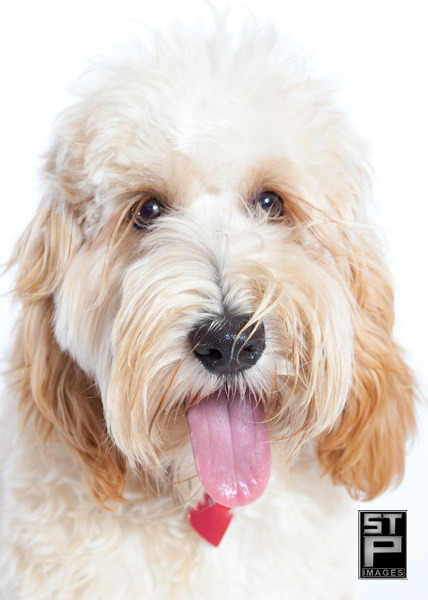 About a year ago, I photographed a Labradoodle named Mogie in the STP Images studio. Mogie, a hypo-allergenic breed of dog, became the House Dog for the children at the Ronald McDonald House (RMH). Mogie’s images were a hit with everyone at RMH and in addition to their publicity use, some of them were even used in the RMH Annual Report. Fast forward to early 2010 where planning for the annual October RMH Gala is well under way. Part of that planning includes creating one of the premier items for the live auction. Each year, a local group of quilters create an incredibly unique quilt that becomes one of the cornerstone items in the auction. Last year’s quilt brought in the neighborhood of $250,000! So, this year, it was decided that each of the RMH board members could buy a square on the quilt and have an STP Images portrait of their dog on the quilt. Within one day, all 25 spaces on the quilt had been sold! 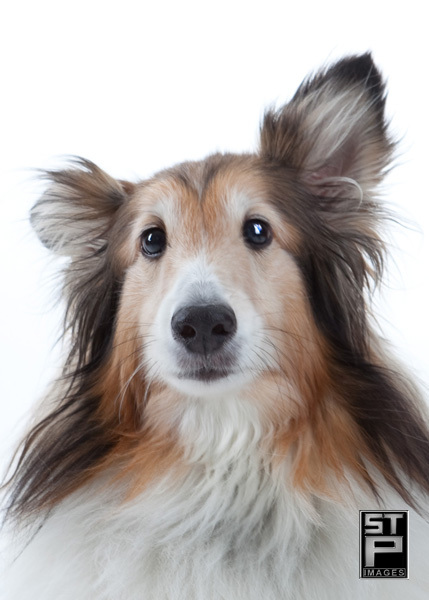 So, beginning in May, we shot 25 pet sessions with the RMH board members across four days on our studio calendar. The resulting portraits were outstanding and we have completed the image processing. The files have been forwarded on to the printer who will then print these great images on a special fabric. Once the fabric squares have been printed, they’ll be quilted in time for the auction. We are so excited to be a part of this process and can’t wait to see the quilt. We’ve compiled a slideshow below of all 25 quilt headshots. If you would like to talk about a portrait session for your favorite four legged family member, give us a shout at STP Images today (p.s. – we currently have an offer called The Pet Lovers Special; ask about it when you call).